Felixstowe Enterprise Centre, based on the town’s Summit Business Park, is perfectly placed to support local businesses. A stone’s throw away from both the busy Port of Felixstowe and the A14, the centre is managed by enterprise agency Nwes, and offers open plan workspace and flexible tenancies to support business growth. One business to take advantage of this prime location is Marketing Force Services Ltd. 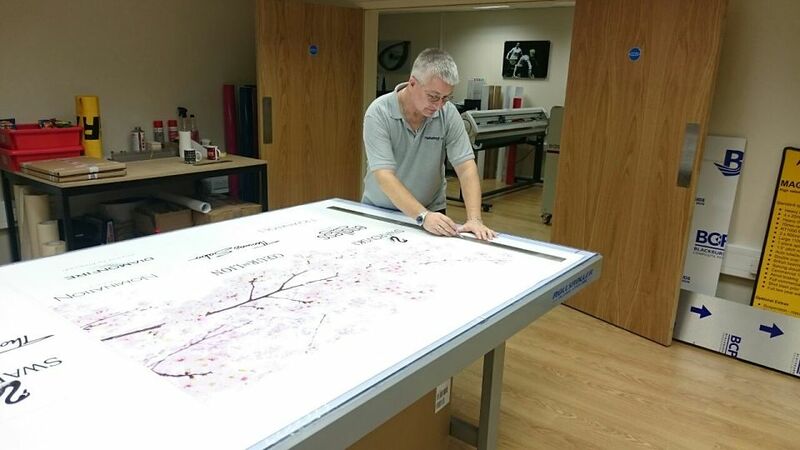 Established in June 2014, the signage manufacturer has enjoyed rapid success. The sister company to Marketing Force Ltd, which has been trading since 1999, the launch was a natural, progressive step in order to complement the existing business and meet signage requirements. We spoke to joint Managing Directors Joanne Woodward and Jackie Wilding about their success. What does Marketing Force Services Ltd offer? We are a signage manufacturer providing a wide variety of bespoke signage, from design through to manufacture and installation. Why is Felixstowe Enterprise Centre the perfect base for you? Finding the perfect home was essential and, following a search for premises, the Felixstowe Enterprise Centre ticked the boxes. We redesigned the premises to suit our workshop, showroom and office requirements, installed brand new state of the art equipment and established a purpose built signage workshop. Tell us more about the success you have enjoyed? Knowing that the business has grown from an initial idea, to turning over £469k in the first full year of trading has exceeded our expectations. Our experience of running a successful business, together with extensive research of existing products, competitors, and achieving the best value from suppliers is paying off. The success of the business, since launch, demonstrates a very high growth rate, which we aim to improve, year on year. We used our extensive business experience to overcome any early obstacles. We’ve grown and now employ seven people. From the moment we gained our first customer, to the present day, we have continually looked to develop and diversify, which will play to our strengths as we look to the future. Our future plans include continuing to grow the signage side of the business, together with Wall Art, which is a bespoke product created by the Directors. The Felixstowe Enterprise Centre has provided us with a base for our growing business, which we have been able to adapt to suit our needs. The Nwes team are just a telephone call away, and we can be sure of support whenever we need it.